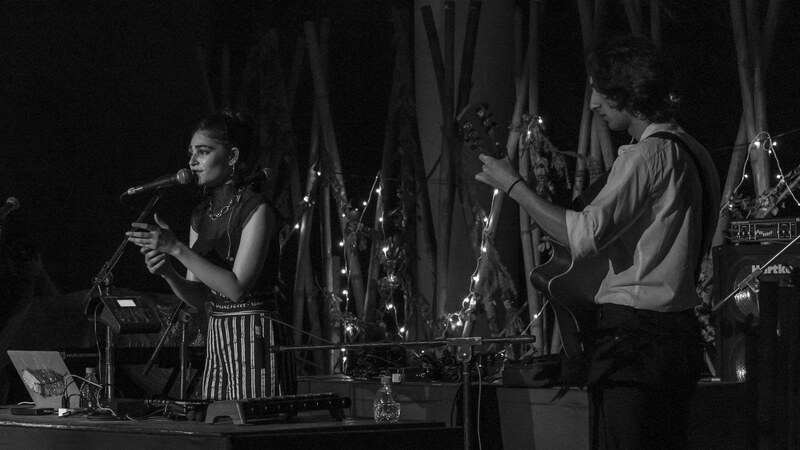 Rushing from a theatre performance to a music gig to play the drums and sing, dressed as a lion no less, because there was no time to change in between — this was Kavya Trehan at 13, in what was perhaps her first unintended step to becoming the multi-hyphenate artist she is today. Creating music since her school days, Trehan has been a part of the four-member dance/electronic rock band, Mosko, for five years now. Loved for their stage showmanship as much as their music, Mosko is a regular at music festivals across the country — VH1 Supersonic, Beantown Backyard Festival, Momo Fest and NH7 Weekender. While the band makes hip hop, rap, and garage music with Japanese anime influences, her solo quests lean towards acoustic tunes with her singing in French sometimes. Dabbling in diverse music meant she has also created top numbers with musicians like Nucleya and Dualist Inquiry. Singing, songwriting, composing, producing, modelling, jewellery designing, and acting – just 25, the Delhi-based Trehan is pursuing all these and more. However, what remains at the core of this creative one (wo)man army core is what started it all — music. Her latest accomplishment is her debut single as a solo artist. ’Underscore’ is a dream pop number that does justice to Trehan’s rich and finely textured vocals, and made the No. 1 spot on the iTunes chart within the day of being released. As she leaves her imprint on the industry one composition at a time, Trehan shares her journey with music till date and the way forward. You've been involved in the music scene since you were a teenager. How did this interest develop? My interest in music developed because of my school, Mirambika, in Delhi. The key ideology that ran amongst our educators was to empower children by creating opportunities in everything that we showed interest in. And the cherry on top was that my mother and sister played very prominent roles in making sure that I had someone to sing with. What prompted you to take it forward and become a professional musician? The choice of wearing many hats allowed me to earn the confidence to invest in my solo career as a musician. I was definitely prompted by my fellow musicians who guided me, taught me, and have supported me unconditionally from day one. How did MOSKO come together? Mosko was founded in 2013, just 10 days prior to a music festival, and we’ve explored different sounds and line-ups since then. The genre is a perfect example of how different soundscapes come together, create original music in jam sessions, and have an incredible time performing an energy-packed set. We’re releasing an EP soon. You've recently released your own single and video. What was the experience like? Very liberating, one with heaps of lessons learnt and plenty of friends made. I enjoyed being my own boss. 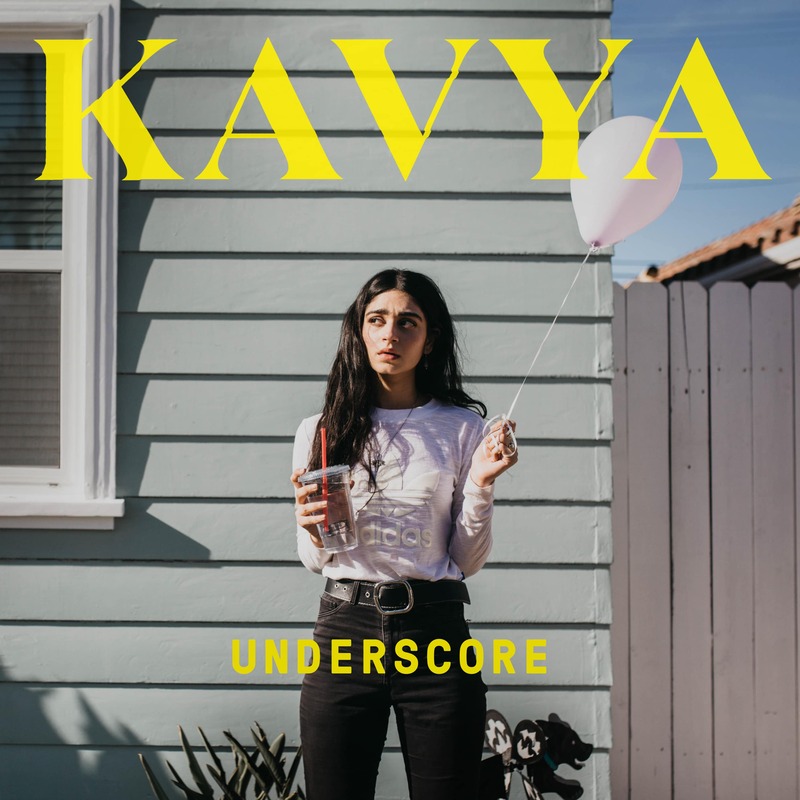 I will most certainly be spending a substantial amount of time developing my solo project, ‘Kavya’. However, I enjoy learning new things and being a vocalist. However, it’s become highly important for me to learn the other elements that are as important in music for a more holistic development. You've also been actively involved in films and fashion — what led you to explore those? I’m a keen believer of pursuing multiple professions, because they all contribute to each other in many ways. From school days, I’ve always enjoyed theatre and dressing according to the state of mind I am in. I do feel like I’ll be continuing wearing these hats for quite some time. What do you love about our music industry? And the one change you'd like to see? The amount of talented gems we have. I would love for us to break self-appointed glass ceilings and be treated equally amongst all global artists of the world. What's the next plan of action for you? Many, many, many releases, live videos, and an EP. An innate love for travel and food has translated into many a trips since childhood for Megha; it also fed her curiosity to know about local cultures. When not writing, she is on the lookout for three things: A great dark chocolate dessert, a beautiful pool where she can practice her backstroke, and art that she can save up for.